Want to cosplay as Saitama from One-Punch Man? Want to cosplay as Saitama from One-Punch Man? But don’t have a costume? And don’t want to shave your head? 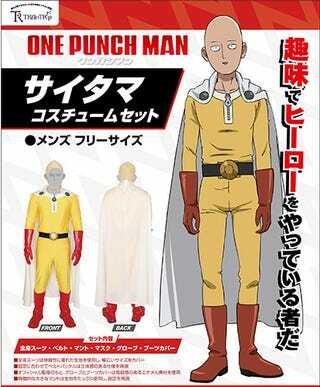 This August in Japan, a one-size-fits-all Saitama costume is going on sale in Japan for 13,500 yen ($121).